Companies must drive down costs while increasing productivity and maintaining a happy workforce. 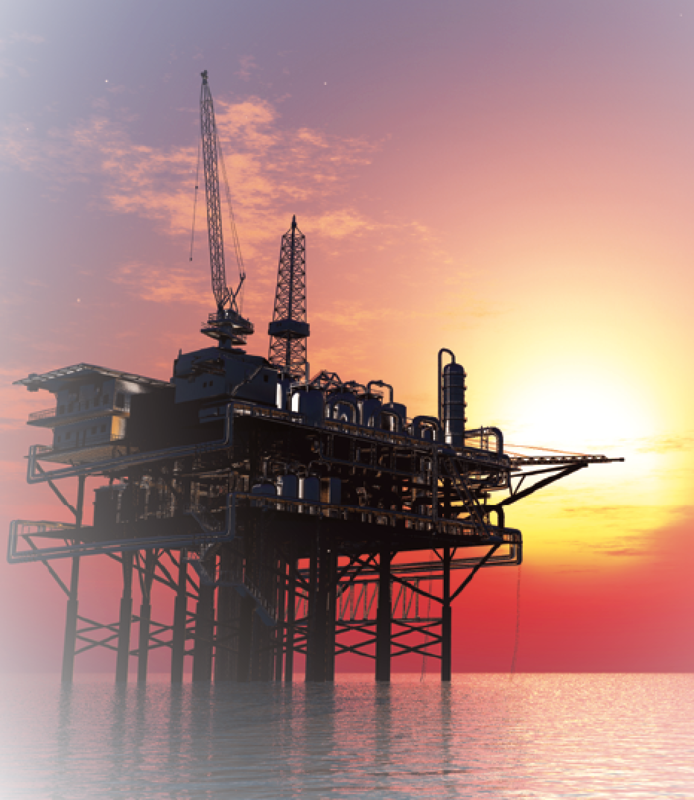 The O&G sector has adopted satellite connectivity, mainly due to the locations this industry must operate in — remote, hostile, unconnected environments that are an integral part of their business. The sector incorporates many different stages and operations, from exploration and production to retail and, therefore, O&G communications needs vary greatly. As in every other industry, there is a digital transformation occurring within O&Gs and, as a result, the demands on connectivity solutions are increasing. High data rates and reliable connectivity are essential to support on-site and centralized operations, backend systems, cloud services, IoT and crew welfare. Satellite forms an important part of any O&G communications portfolio. 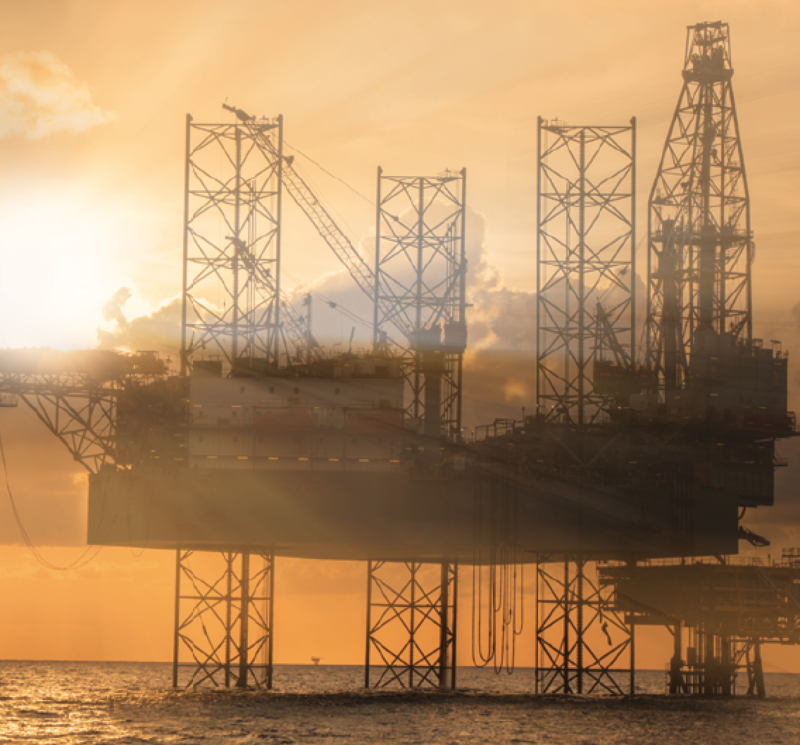 Recently, however, the industry has hit difficult times, and though the requirement for connectivity continues to rise, the O&G sector is a conservative one and is cautious about change. 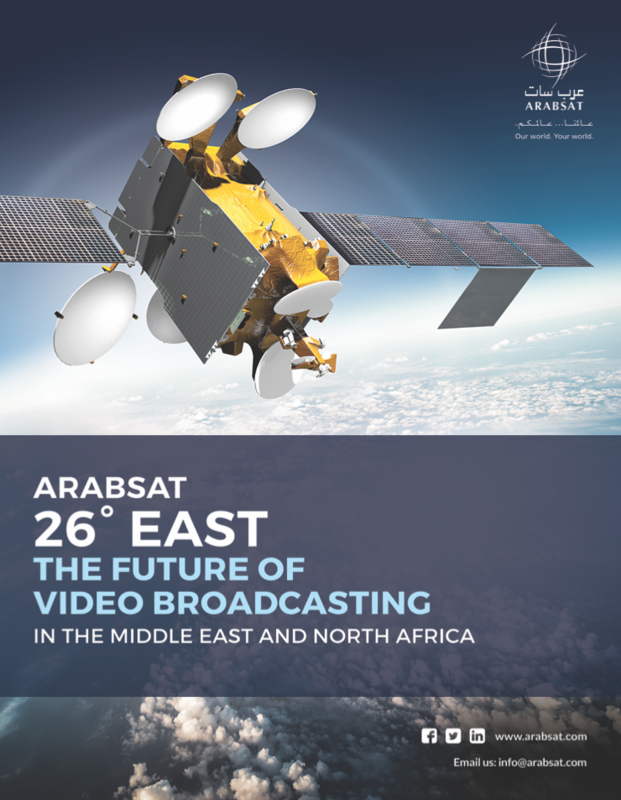 Historically, reliable C-band has been used; however, advances in satellite technology are making businesses in the industry re-think their connectivity approaches. For O&G companies, the focus for investment has always been on their core business. When it comes down to connectivity and communications, there is reluctance to take a risk on new technology. However, faced with increased bandwidth needs and tight budgets that companies are unprepared to invest on connectivity, the industry recognizes that something must be done to alleviate their concerns. Satellite communications solutions are going through an evolution in terms of their capabilities. 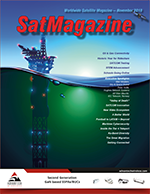 The introduction of High Throughput Satellite (HTS) and the move toward Ku- and Ka-band services has resulted in much higher link throughputs with smaller terminals as well as the need to occupy less precious space on board offshore platforms. HTS brings improved cost-per-bit and, therefore, helps considerably O&G company budgets. A combination of unstable pricing and end-user asset oversupply has impacted the O&G industry. In April, Northern Sky Research released a report entitled ‘Energy Markets via Satellite, 7th Edition’, which explains the need for communications change. Newtec has been delivering services to the O&G market for many years and recognizes the unique challenges that the sector faces in terms of connectivity. This understanding has enabled Newtec to bring efficiency, flexibility and, above all, reliability that addresses all O&G requirements in Upstream, Midstream and Downstream activities, with very high throughput all the way to narrowband IoT/SCADA reliable services. Using a combination of highly efficient technologies developed in-house such as DVB-S2 and DVB-S2X, Mx-DMA®, FlexACM®, Clean Channel Technology® and Cross-Layer-Optimization, Newtec delivers a service that exceeds many other technologies on the market. This blend of technology enables Newtec to provide customers with guaranteed bit rates and the flexibility to allocate the bandwidth to the site that needs it, eliminating the requirement for dedicated bandwidth on each rig. Newtec’s platforms have a scalability that caters for all requirements, from a few sites on a traditional satellite beam to global networks serving thousands of sites across different beams and/or satellites. The same platform can support a wide range of use cases, including exploration and production, offshore oil rigs, vessels, and even large-scale low data rate M2M/SCADA connectivity for pipelines and points-of-sales. Newtec’s patented Mx-DMA return link technology combines the benefits of SCPC and TDMA technology. SCPC requires dedicated satellite bandwidth per site, but provides high throughput and efficiency. TDMA allows bandwidth to be shared between sites but requires compromises in throughput and efficiency. Mx-DMA allows the best of both worlds, delivering real-time, on-demand bandwidth across all sites without compromise to performance or reliability. Mx-DMA doubles the throughput capability in the same satellite capacity. A concern for those operating in harsh weather conditions, as is frequently the case with remote offshore rigs, is the maintenance of the link. Reliability is absolutely key to the O&G industry. The links that service O&G platforms are mission critical and downtime simply cannot be tolerated. Any interruption in services could mean millions of dollars lost. For this reason, IT managers are looking for solutions that maintain the highest reliability while adding efficiency, throughput and flexibility. Newtec’s auto-adaptive modulation technology, FlexACM, can be found in Newtec modems and hubs. Newtec’s Cross-Layer Optimization technology also allows service priorities such as video, data and voice and QoS (Quality of Service) policies to be adapted on-the-fly. Newtec Dialog® is a scalable, flexible, multiservice platform that allows operators to build and adapt their infrastructure as their business evolves. The platform empowers operators to offer a range of services, supports bandwidth efficiency using the most optimal modulation and bandwidth allocation for any given service offering. As well as containing Mx-DMA technology, the platform also contains an advanced network management system for configuration, monitoring and supports private networking combined with advanced QoS. The evolution of satellite communications into Ku-, Ka-band and HTS services has much to offer O&G end-users. By lowering the cost-per-bit, increasing throughput and performance and reducing terminal size, without compromising on reliability, this tackles some of the most pressing connectivity challenges faced by O&G companies. By taking the very best that its technology has to offer, Newtec takes these advanced services and enhances and optimizes them to ensure that O&G customers get the very best from their satellite link — and the most reliable service possible. Jo holds the position of VP Market Development at Newtec. Next to developing the HTS and enterprise markets and assisting to large project sales, he shares his expertise in broadband and VSAT within the Newtec organization. In his previous role as Product Manager, he was responsible for the product definition and market launch of Newtec Dialog®, Newtec’s scalable, flexible and bandwidth efficient multiservice platform. It gives operators the power to offer a variety of services on a single platform while assuring the most optimal modulation and bandwidth allocation.